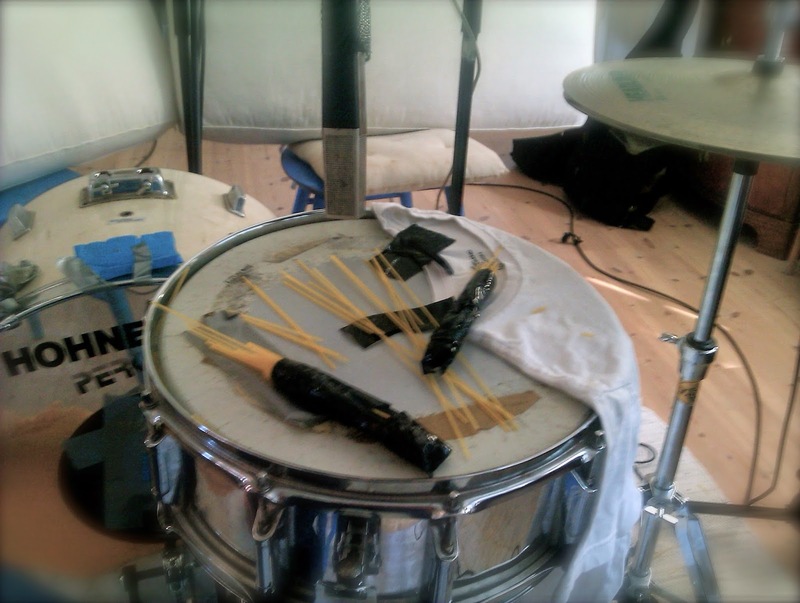 So what do you do if you're recording some songs, and you don't have brushes for the drums? We made some… Of pasta! Like they say: there is nothing you cannot do with duct tape. They handled a couple of hours of recording, then we had to make new ones.